Dr. Susan Hopkins, Mehrit Centre – Keynote Speaker and Breakout Session Facilitator Dr. Susan Hopkins is the Executive Director of Dr. Stuart Shanker’s organization. Susan has been a teacher, school administrator, inclusive schooling coordinator, curriculum developer, educational researcher, and educational leader. She has worked in every area of education from the early years to post-secondary, from remote northern schools to the Department of Education. 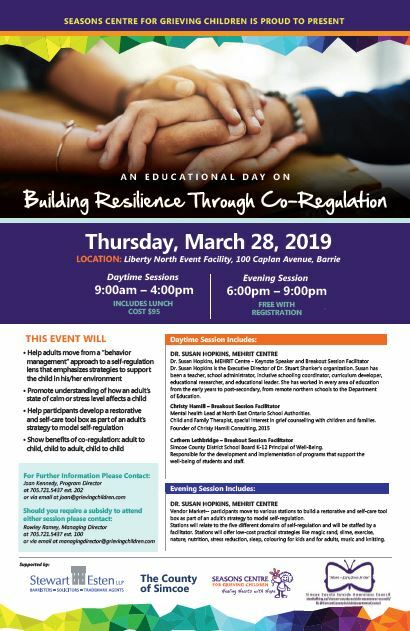 Mental health Lead at North East Ontario School Authorities. Child and Family Therapist, special interest in grief counselling with children and families. Simcoe County District School Board K-12 Principal of Well-Being. Responsible for the development and implementation of programs that support the well-being of students and staff.